Snow White and the Seven Old Fogies. 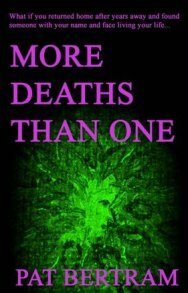 Mary Stuart, the twenty-five-year-old hero of Daughter Am I, learns that her grandparents have recently been murdered and that she is their sole heir. This comes as rather a shock because her father always claimed they had died before she was born. Kid Rags, a dapper forger, seems to have two interests in life — drinking bourbon and eating copious amounts of food. Crunchy, an ex-wrestler, threatens to crunch anyone who doesn’t treat Mary well. 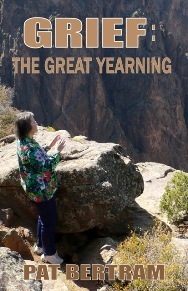 Teach, a con man, tells Mary more than she ever wanted to know about gangsters, Wyatt Earp, and life. Happy, an ex-wheelman for the mob, is ready with his gun though his hands shake too much to aim, let alone shoot. 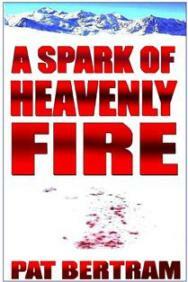 Iron Sam, a dying hit man just released from prison, has his own, secret agenda. Spaghetti once owned The Joker, a mob hangout where Mary’s grandparents worked when they were young. Lila Lorraine, an ex-showgirl, was a friend of Mary’s grandmother and an ex-girlfriend of Iron Sam. With companions such as these, how can Mary’s journey be anything but fun? 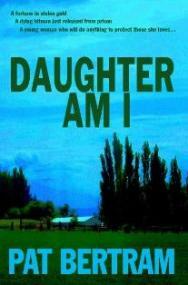 Daughter Am I by Pat Bertram is available from Second Wind Publishing, Amazon, and Smashwords. I can’t wait to start reading. I’ve got a few commitments first, but …! Keep meaning to ask, from the time you signed your book away, how long before you started working with your editor? Hmmm. My first two books took about six months before anyone looked at it, but that’s because I signed on with Second Wind at the beginning when they had so many books to get out at the same time. Most of the books now are going to an editor immediately.